There’s no better way to get into the Christmas spirit then listening to Christmas songs all day and with digital radio it couldn’t be easier with a host of festive stations to choose from. Since 3 November, Heart extra has been turning up the festive feel good by transforming into Heart extra Xmas, with a playlist devoted entirely to playing the best festive hits all the way through until midnight on Boxing Day. From Friday 30 November, Magic Radio will embrace the season and turn the station 100% Christmas playing all Christmas music with a selection of much-loved Christmas pop hits from the last fifty years’ – including 80s and 90s classics from WHAM!, The Pogues, Mariah Carey, Elton John and Paul McCartney. Heart extra Xmas and Magic Christmas are available on DAB nationwide. And that’s not all- there are 17 Christmas stations available on DAB digital radio in the UK and many more online and from around the world that you can listen to via Apps and on your smart and voice-controlled speakers. These include Eagle Christmas, KL.FM Christmas, Pirate FM Christmas, Mix Christmas, Spire FM Christmas, Stray FM Christmas, Wessex FM Christmas, Yorkshire Coast Radio Christmas, plus Mince Pie FM in York and Christmas Spirit in West Sussex. 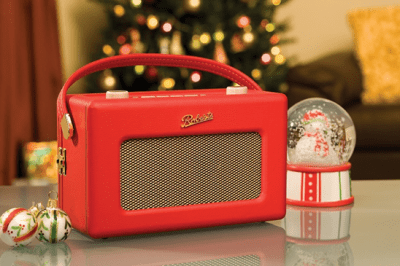 In addition, Wireless spin-off stations Signal Christmas, Wave Christmas and Pulse Christmas returned on DAB, along with new online Christmas services for Peak FM, Radio Wave, Signal 107, Wish FM, Wire FM, Tower FM and U105 from November 16th. Other stations include Scottish Sun Christmas and Radio Marsden Christmas. To find out which Christmas stations are available on DAB digital radio at your address click here. To listen to stations online visit Radioplayer.